Maldives is an island which is located in Asian region and the island is used as a favorite place for those who want a honeymoon. Areas of Maldives is made up of many small islands and directly facing the Indian Ocean. 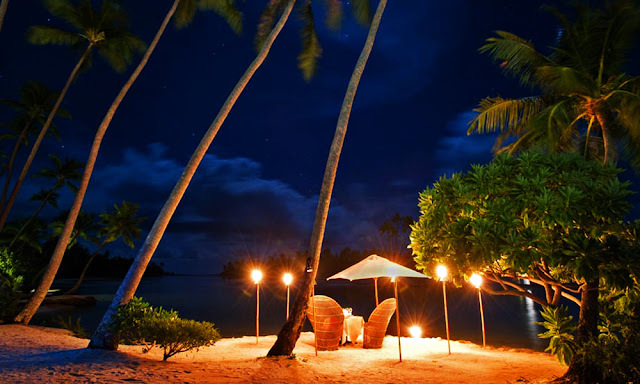 At night, when you sit on the edge of the beach, then you will see sparkling lights that come from other islands, and moonlight that will certainly add a romantic sensation. In Maldives, there is a program called "Deserted Couple", a program where each couple will be taken to an uninhabited island, and they only provided food, once it arrived during the afternoon they will be brought back. Very unique isn't it? This program will create a newly married couple or just couple to feel that the world is only theirs. The City of Love, that's the nickname of Paris. There are many things that make this city as one of the most romantic city in the world. 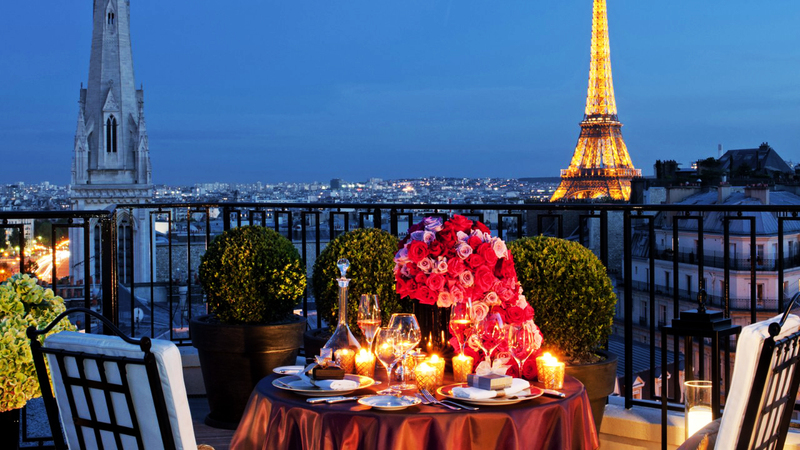 Besides its magnificent scenery, Paris has various romantic tourist attractions that ideal to visit with your partner. There are many romantic things you can do in Paris, you can have dinner while watching the glitter of the Eiffel Tower, ride a sailboat on Seine River, or just walking together along the Champs Elysees. Santorini is an island located in one of the Greek islands (Cyclades). Santorini is famous for its beautiful seaside building with unique architecture. Not a few couples that make this island as their honeymoon destination. Commonly, houses and hotels in Santorini has a patio, windows, and doors that directly overlooking the seaside, so you can see amazing view. You can also enjoy the sunset at the exotic beach and enjoy the night while you're sitting relaxly you can watch the stars with your partner. Our romatic destinations list is not complete without this one, Belize. Its terrain is so tropical, the atmosphere is also tempting and has an extraordinary beauty view. Diving, enjoying the rain forest or seeing animals such as jaguar can be an option for you to make your honeymoon feels perfect. 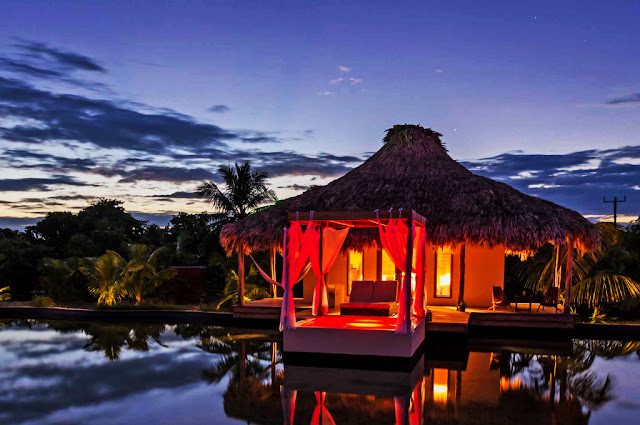 Favorite choice of each couples is a calmly vacation destinations, or a place that they can rest their minds from busy daily activities, Saint Lucia, for example. We could describe the atmosphere there with plants that thrives, a quiet sky that is so blue, and tropical drinks that flow into your throat while you shelter or daydreaming under palm trees. There, we can also explore the suburbs or lounge which are available on its shores. The consequence's only one : You will be reluctant to go home. Bali Island is not only popular among domestic tourists, many foreign tourists who come on holiday to the island. Just as a complete package, Bali does offer a lot of things, ranging from stunning coastline to the exotic nature typical of Southeast Asia skyline. Besides its natural beauty, Bali is also famous for culture and tranquil atmosphere. 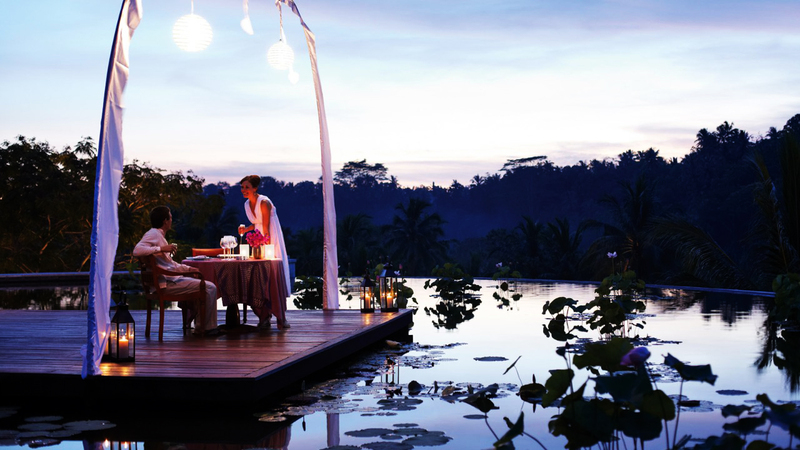 No wonder if until now Bali is still a favorite destination for honeymooners, especially for domestic tourists. If you want to experience the art of Italian architecture, Venice is the right destination. As a city that is largely submerged in water, Gondola is a mainstay of transportation in this city and perfect vehicle to explore one place to another. 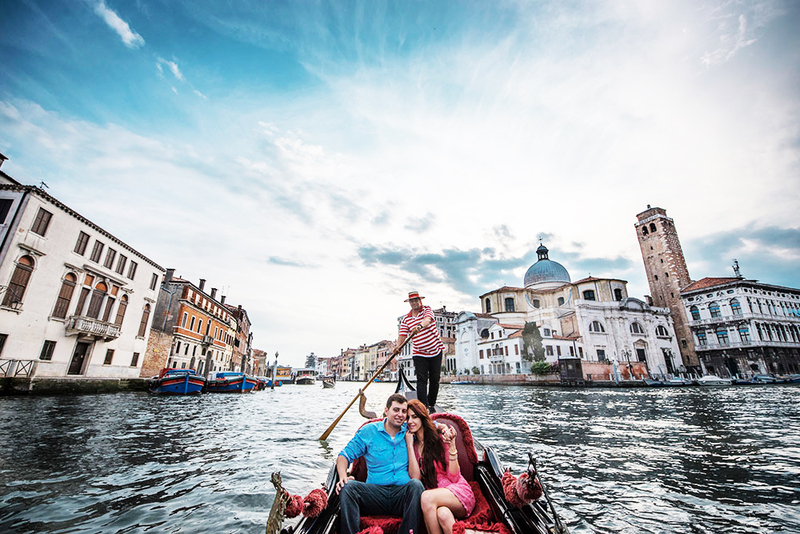 Riding a Gondola with your partner on Grand Canal and combined by strains of songs from gondolier is one of romantic things you can do in Venice. 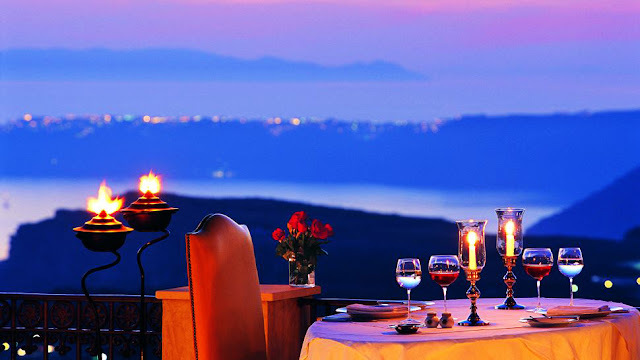 After that, you can also relax at a romantic cafe while enjoying typical Italian dishes. 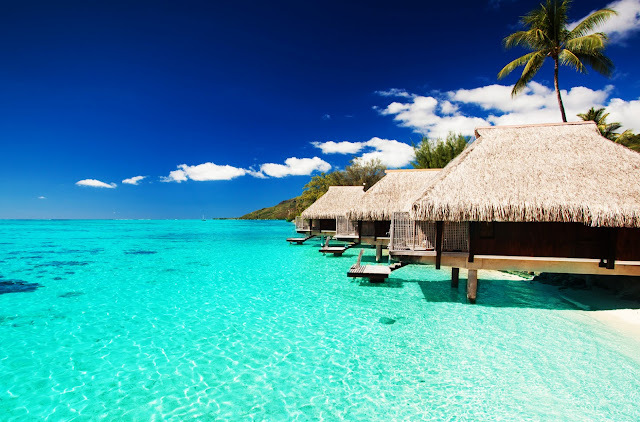 Tahiti is also very popular for many couples to be used as a honeymoon destination. The place is suitable as holiday destination after your wedding. There are thatched roofs, palm trees and romantic rustle of wind. Couples would be easy to enjoy its beauty. This one will be perfect if you visit it during the winter or summer. 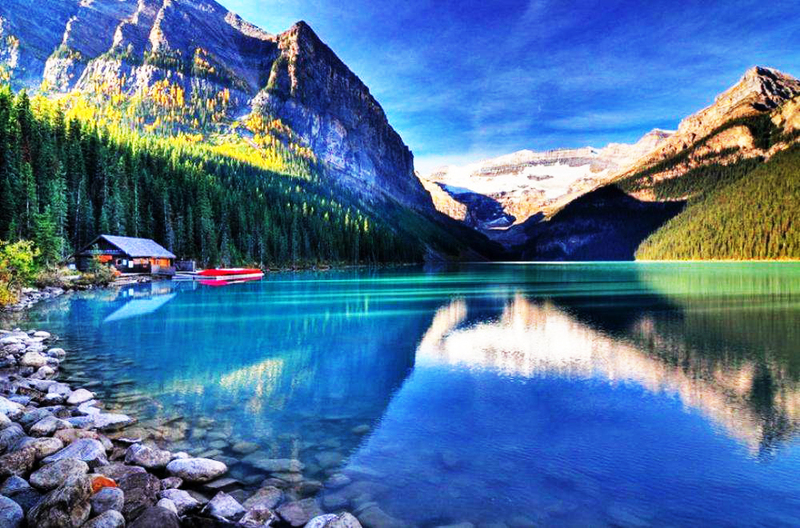 Lake Louise will be a spectacular honeymoon destination. There, you can enjoy the lake with a greenish color. Not to mention the sights offered by Rocky Mountains. Of course all of that memories will be etched in minds and souls of all couples. Canada may not be considered as a romantic destination. But there is one place in Canada, namely Tofino on Vancouver Island that can change that perception. There, all the couples have been awaited by the views of the beautiful sunset beach, or stunning coastal road. You can also try to make some memories by traveling on mountain. This place is suitable as a honeymoon destination when the hurricane season comes. So, which one is your favorite place? Thanks for reading Top 10 Most Romantic Places To Go With Your Partner. Please share...! 22 Comment for "Top 10 Most Romantic Places To Go With Your Partner"
Cool article, I have been to Bali, Indonesia with my ex-girlfriend and it was pretty nice besides the waves of streets sellers trying to sell you things. The other suggestions are interesting too, and I know there are some places in Philipinnes that are really pretty and romantic, like Boracay and El Nido. Thanks for taking the time to write this article! waaah nice, thanks for sharing this informations! I don't mind to visit Canada. It look like an interesting place to be with someone special.